hillviewasb.com: Ducks? Cash? Hummer Limo Lunch? THE PRIZE SHEET! Hey Hawks....are you going to join us in the Hummer Limo lunch to Benihana? What is YOUR goal for this year's magazine fundraiser? Check out that prize sheet above! INCREDIBLE experiences....can you imagine the limo lunch to Benihana? Dunking Mr. Burmeister or a teacher? Rolling around in the Hamster Balls during school? This is a great way to get involved with school, raise money for the school, and sell magazines to people! If you have any more questions on the magazine drive, please talk to Mr. Darmanin in room G3. Oh and be on the lookout for ASB Duck Feeders......wear your duck lanyards at all times! 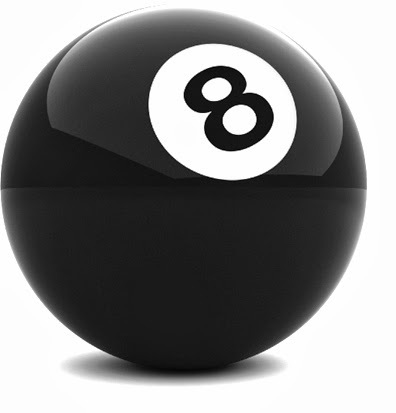 And remember, THINK 8! It's the magic number of orders needed to reach our goal! I'm really excited about the magazine drive. It is going to be so much fun! this awesome and it is so much fun! i already got my first duck!!!!!!!! The prizes are so cool! We hope to get 20 subscribers and go to Bennihanas! Think 8! Our is to be a super seller and get ALL the prizes!!! we have ducks! we are so excited for the magazine drive! Think 8 cant wait to get the Harry duck!!! We really want to get the limo lunch with hard work! Also, we are hoping for all the ducks! The ides of having really awesome prizes and $$ MONEY for selling magazines and merchandise is spectacular! We are so excited to help out its a great way to earn money for the school. P.S want to go in the limo!!!!! If you lose a paper were can you get it from? Or what if you lose your coupons? You can print more here http://goo.gl/jtfDTC or you can go to the office to pickup a replacement Duck coupon sheet. 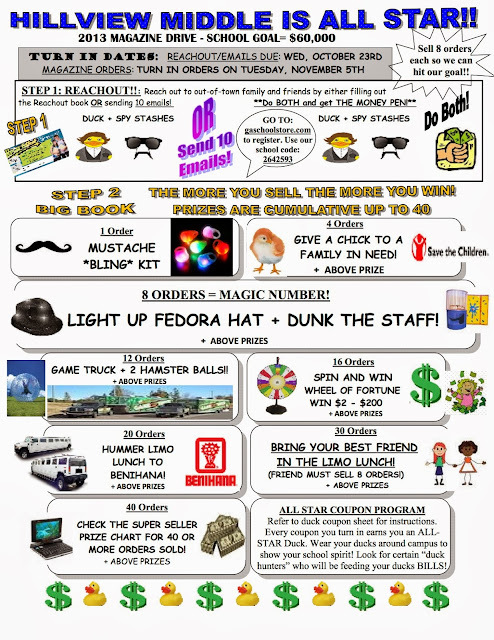 The prize sheet can also be printed above by clicking on it. Good luck! This fundraiser to get money is the best idea Hillview has. Great idea guys. We are sooooo gonna get to $60,000! I'd be so surprised if we don't!